Brand New Aluminium Alloy Roofing Square Cast aluminium with raised graduations. 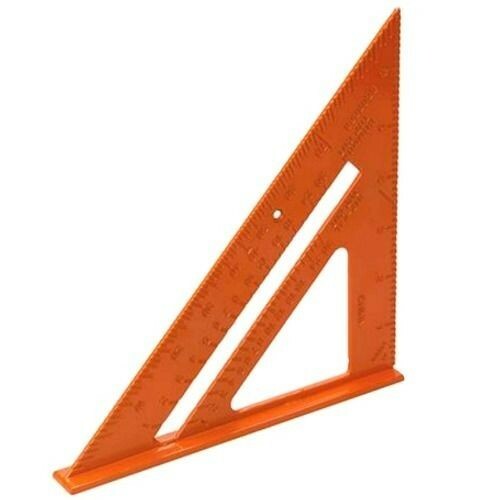 For use as a framing/tri/mitre square, saw guide and protractor for fast, accurate layout and cutting of angles on rafters, bracing and trim. Weight 134g. Overall dimensions: 185 x 182 x 258mm.